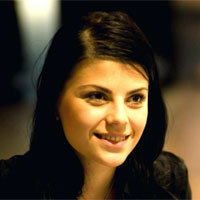 Mihaela Draghici was one of the organisers of the first World Blogging Forum, in 2009 in Bucharest. succeeding in teaming up bloggers from U.S., Argentina, Germany, France, Italy, Turkey, Georgia, Armenia and even China. Her career in event management, started during her activity in one of the most active European youth NGOs, ASLS, where she was a President from 2008 to 2009. Dedicated to the personal and professional development of people, she was involved in coordinating the 2008 and 2009 editions of JobFest and Career Fair – two of the main career events for young professionals in Romania. In 2009, Mihaela Draghici was the project manager of one of the best known youth portals in Romania, OnlineStudent.ro, where she promoted the notion of youth activism, by managing a platform where young active learners, and dynamic people can interact and share common interests, in the view of making a change. At the moment, she is focusing on regional marketing for QS Quacquarelli Symonds Limited, the leading global career and education network that links achievers from the graduate, MBA and executive communities around the world with leading business schools, postgraduate departments and with employers. She creates and adapts content on education and career opportunities, MBA programs and business schools for the regional market, dealing with media, online advertising and Public Relations. Bio on – Mihaela doesn’t publish a blog, I linked her FB account instead.